Astronomers today announce one of the largest 3D maps of the infant Universe, in a presentation at the European Week of Astronomy and Space Science in Liverpool. A team led by Dr David Sobral of Lancaster University made the chart using the Subaru telescope in Hawaii and the Isaac Newton telescope in the Canary Islands. Looking back in time to 16 different epochs between 11 and 13 billion years ago, the researchers discovered almost 4000 early galaxies, many of which will have evolved into galaxies like our own Milky Way. Sergio Santos, a Lancaster PhD student and team member, comments: "We used large amounts of data taken with 16 special filters on wide field cameras and processed them here in Lancaster to literally slice the Universe in cosmic time and time-travel to the distant past with 16 well defined cosmic time destinations." Dr Sobral adds: "These early galaxies seem to have gone through many more "bursts" when they formed stars, instead of forming them at a relatively steady rate like our own galaxy. Additionally, they seem to have a population of young stars that is hotter, bluer and more metal-poor than those we see today." 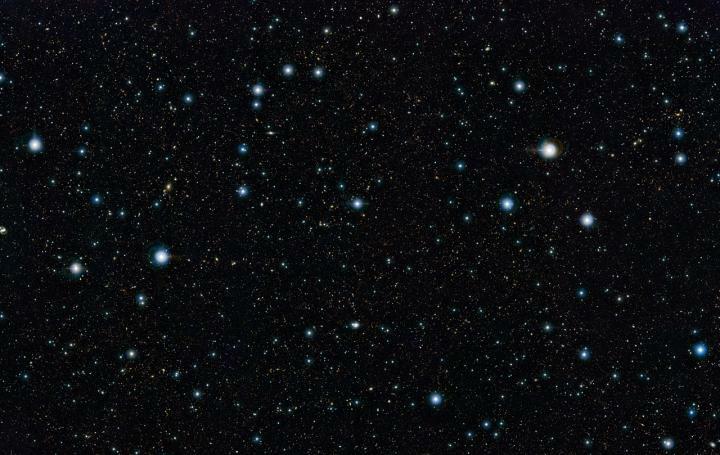 The researchers also found that these early galaxies are incredibly compact. "The bulk of the distant galaxies we found are only about 3 thousand light years across in size, while our Milky Way is about 30 times larger. Their compactness likely explains many of their exciting physical properties that were common in the early Universe", comments Ana Paulino-Afonso, a PhD student in Lancaster and Lisbon. "Some of these galaxies should have evolved to become like our own and thus we are seeing what our galaxy may have looked like 11 to 13 billion years ago." This work appears in "Slicing COSMOS with SC4K: the evolution of typical Lyα emitters and the Lyα escape fraction from z~2to z~6", David Sobral, Sérgio Santos, Jorryt Matthee, Ana Paulino-Afonso, Bruno Ribeiro, João Calhau, Ali Khostovan, Monthly Notices of the Royal Astronomical Society, in press. "On the UV compactness and morphologies of typical Lyman-α emitters from z ? 2 to z ? 6", Ana Paulino-Afonso, David Sobral, Bruno Ribeiro, Jorryt Matthee, Sérgio Santos, João Calhau, Alex Forshaw, Andrea Johnson, Joanna Merrick, Sara Pérez and Oliver Sheldon, Monthly Notices of the Royal Astronomical Society, in press.